The HPC community came together at the XSEDE16 conference to share real world wisdom and experience. One member of the XSEDE family told about her experience using Agile in a classroom. XSEDE is more than supercomputers —it's a community. XSEDE16 conference is a meeting place to share best practices. UT Austin professor details Agile method for student development. One of the best aspects of the XSEDE16 conference is hearing from the HPC community. The family of Extreme Science and Engineering Discovery Environment (XSEDE) users is diverse and brings a wealth of institutional knowledge to the annual gathering. The knowledge exchange that occurs at the conference is not only of a technical nature, however. In addition to hands-on tutorials about how to jumpstart your Jupyter notebook, partition your Python Panda in a parallel processing portal, or view visualizations via Jetstream's virtual machines, XSEDE16 offered best practices for many other aspects pertinent to the professional development of members of the XSEDE community. The Workforce Development and Diversity (WDD) track, for instance, showcased perspectives on how to expand the reach of XSEDE-powered computational science. WDD topics touch on means and methods to empower and incorporate underrepresented groups, and share new programs and activities that address challenges and changes in the STEM community. This year's WDD track featured Ritu Arora of the Texas Advanced Computing Center (TACC). 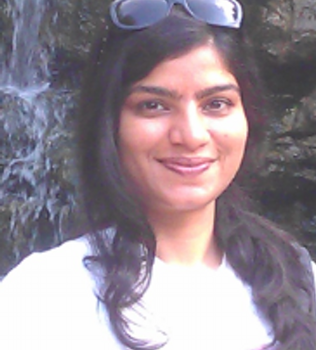 Arora shared her experience implementing the Agile methodology to improve the research experience for undergraduates. “I am severely, madly, deeply interested in broadening participation of students from underrepresented groups in HPC and big data computing,” shares Arora. To broaden her ability to reach undergrads, she began using the Agile method, an iterative and incremental technique for managing software and people development. Previously Arora opted for the so-called ‘waterfall’ method of development. Proceeding in a step-by-step manner, falling down one rung at a time as might a waterfall, the waterfall method is a more traditional approach. This linear style moves sequence by sequence until a predetermined end point is reached. Progress is arrested until a preceding phase is completed and tested for workability. Stymied by this cumbersome methodology, Arora cast around for a more efficient way to manage and motivate her students. As luck would have it, her husband manages software product development, and she sat in on one of his software development meetings – a ‘scrum.’ Impressed, she began testing the process on her students. These spirals continue throughout the course and progress proceeds in ‘sprints’ with a focus of applying the student’s growing knowledge base to real-world problems. Arora has used Agile for two years now. Most recently, she used the method to meet the learning and research goals of the students working with her as part of the NSF-funded Research Experience for Undergraduates (REU) and Science & Technology Affiliates for Research (STAR) internship programs. 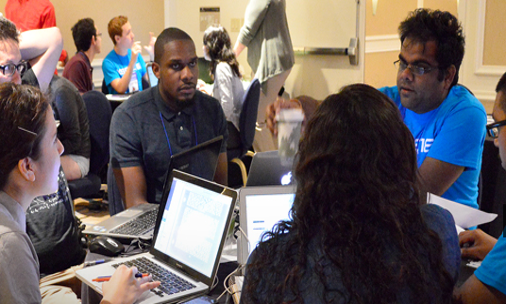 In projects from the HPC, big data, and health informatics domains, students research how to adapt legacy applications for modern HPC platforms, and enable large-scale document analysis on supercomputing resources using mobile phones. The Agile process has helped these students to learn and produce results in a collaborative manner in a short timeframe. “I was overjoyed by the results,” she says. Schedule conflicts and a constant need to micro manage were features of her standard waterfall experience, but with the Agile method, she found that with simple meetings – one in the morning and another at the end of the day – within two minutes she knows where her students are and where they need help. 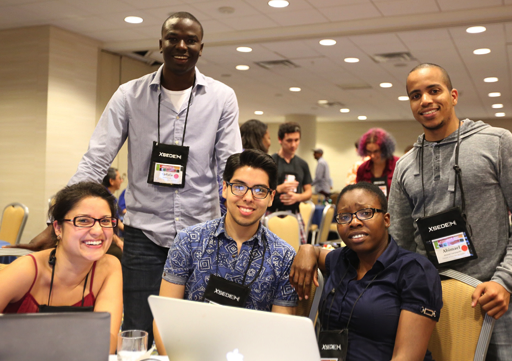 Expanding the ability of underrepresented groups to do computational science brings benefits to us all. This provides opportunities for those previously excluded to join the computational work force — and more minds at work means we can all benefit from the increase in computational analysis, as it will complement current skill sets already in the work force. XSEDE is known for access to the high-performance computing environment, and touts itself as a single virtual system for sharing computing resources. It is easy to overlook the shared expertise and best practices, but as Arora’s example shows, there is more to a successful HPC community than big computers.